Monumental sculptor William Robin founded his family firm in Paisley in 1861, at 14 Lady Lane. They were responsible for the 1820 Martyrs Monument in Paisley�s Woodside Cemetery (1867), and the monuments there to Margaret Rowan (1870); Henry Cowan (1871) and the Bustard family (c.1875), as well as the monument to Helen Henderson in Paisley�s Hawkhead Cemetery (1891). One of Robin's largest monuments is the tall, Gothic pinnacle in Helensburgh Cemetery to William Scoular, which includes a large, marble portrait head and smaller heads in stone (1876). Succeeded on his death by his son, Robert William (fl. 1888-1900), in 1888, the firm was renamed William Robin & Son, and moved to a new workshop at the gates of Craigton Cemetery in Paisley Road West, Glasgow, in a part of Govan known as Half Way due to its location 'half- way' between Govan and Paisley. Their new workshop was named The Craigton Monumental Works. Craigton Cemetery is also the location of the firm�s most important work in Glasgow, the S.S. Daphne Disaster Memorial (1885), which marks the graves of the shipwrights trapped on board the steamship when it capsized at its launch on the River Clyde at Linthouse, in 1883. Also in Craigton is the Gothic monument to Martha Mills, which features a reclining cherub (1877). 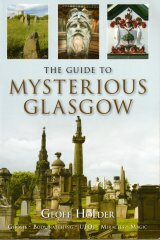 For Glasgow�s Tollcross Cemetery they produced the monument to David Stevenson (1880). By 1897, the firm was trading as �Robert W. Robin Successor to the Late Wm. Robin�. A surviving bill issued in September 1897, itemising work done on Mrs Stephenson�s Monument in Craigton Cemetery (cutting inscriptions and gilding old letters, �1. 4s. 8d. ), and signed by R.W. Robin, is reproduced in Bill Spalding�s book Old Cardonald (p. 2). The bill�s letterhead includes an illustration of the types of monuments they produced and lists the types of materials available. They worked in freestone, marble and granite, the latter hewn from their own Silver Grey Granite Quarry at Creetown. R.W.�s brother, David W. Robin, was also a monumental sculptor, working in the partnership Robin & Sweenie, with James W. Sweenie (fl.1898-c.1961), and contributed a considerable number of monuments to Woodside Cemetery. William Robin was buried in Woodside Cemetery, his monument surmounted by a kneeling angel and flanked by the monuments to his son, David, and his daughter. Watson�s Directory of Paisley: 1861-1901.